F IS FOR FLORIDA: Written by Kids for Kids. 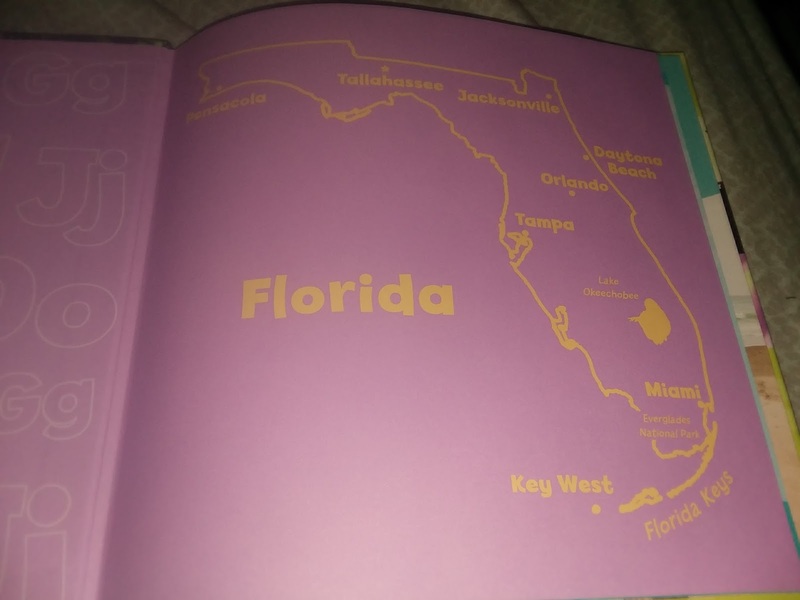 I was born and still going in FL so what a great book to enjoy and show my kids. It is fully illustrated and simple for my younger ones to enjoy and read alone. 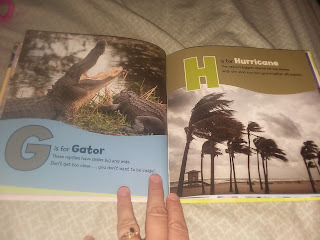 It really captures FL in all its craziness, like G is for Gator, because here we rarely say Alligator, you find a gator any place which has water.....no lie. H guess what H is for......Hurricane which I lived through the year of 2005 when we got not 1 but 4 in a row!!!! 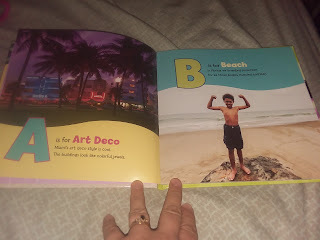 B is for Beach which is most of the state, we are dead center of FL so the beach is about 2 hours either way. And so continues the ABC's of only those who live in FL would understand, but are happy to share with others the wonder which is FL. The publishing process for the book started with a brainstorming session in which a group of children were asked to choose words that represent the state for each letter in the alphabet. From “D is for Daytona 500” to “P is for Panther”, and “Z is for Zebra Longwing”, the young writers worked with children’s book editor Michelle McCann to write couplets. “Couplets are poems built by content and then structure—it’s the perfect format to inspire young writers,” says McCann. After the writing was completed, the children’s poems were paired with images; a map was created for the beginning and a fact section for the end; and the book’s kid-friendly, vivid design was finished. 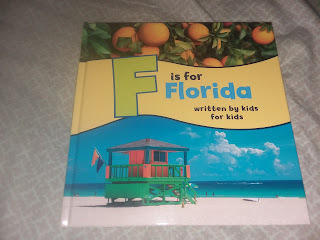 F IS FOR FLORIDA provides an introduction to the state with fascinating social, cultural, and geographical facts. “As a first reader book, the children’s couplets are easy for young kids to relate to and learn from. The structure offers clear visual, written, and auditory associations using the alphabet to organize content and increase reading comprehension. For older kids, that structure helps keep readers’ interest and organizes curriculum that can help inspire their own writing,” says McCann. 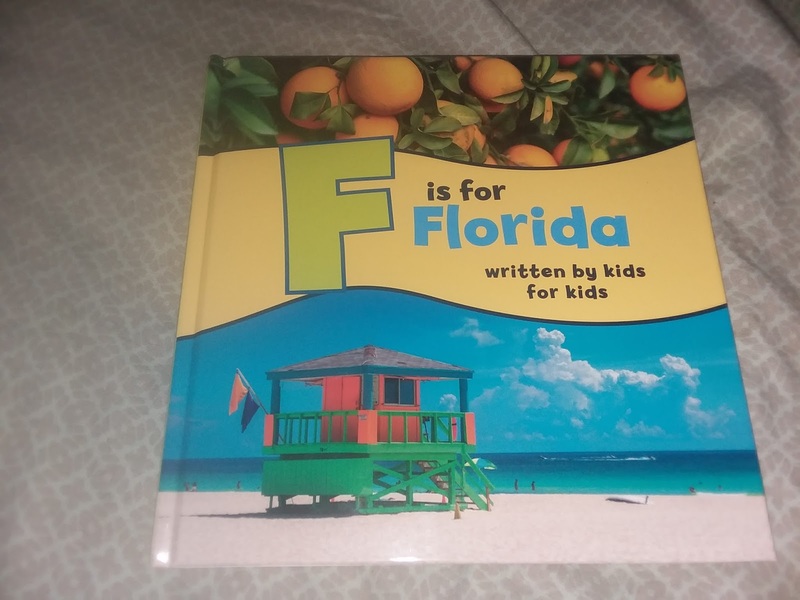 The young authors of F IS FOR FLORIDA hope will be a hit with Florida kids and kids across the nation!